The World Clock — Worldwide suggests Tuesday, February 12th, 2019 is history now. Thus, the answer to your question seems to be February 14, 2019. Not the answer you're looking for? 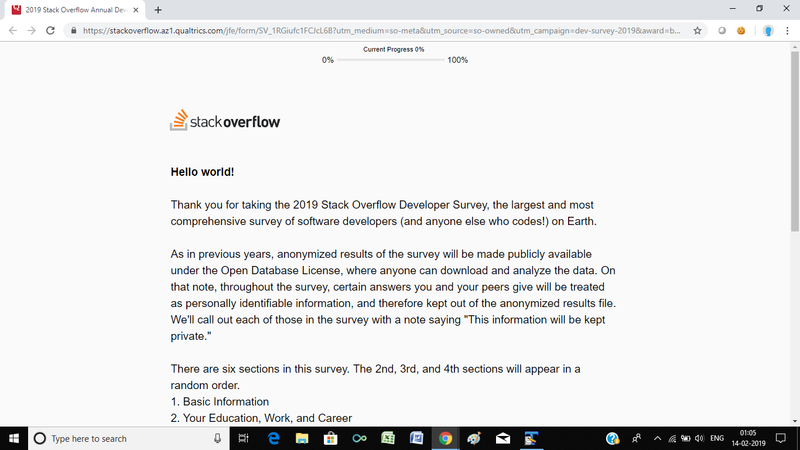 Browse other questions tagged support survey survey-2019 . When is Census badge awarded for people completed the survey in February? Can I re-access the Census badge site selection page if I closed the completed survey without viewing it initially?